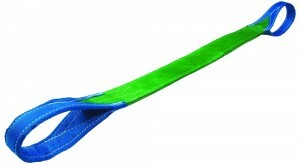 Dolezych eye slings are lightweight and handy. The eyes are reinforced by coloured abrasion-resistant woven material. The eye reinforcement does not swell up when wet: that is why we do not use leather. 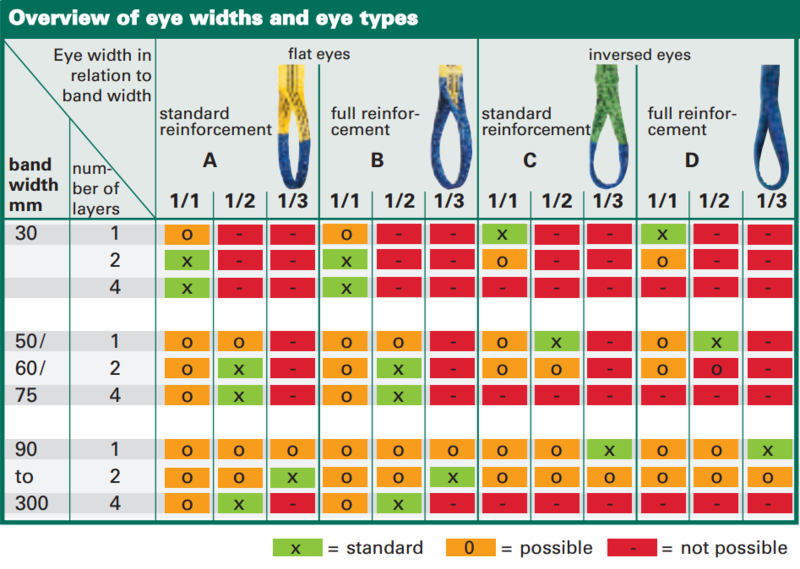 For 1-4 layer web slings we differentiate between two differently sewn types of eyes that have shown their efficiency in practice: For multi layer web slings the flat eye is standard. They are available in standard reinforcement and full reinforcement. Single layer stirrup slings are produced with a 90° turned “inversed eye”. They are available in standard reinforcement and full reinforcement. Upon request, we also produce web sling eyes in special dimensions and with special reinforcements adjusted to your special crane hook. resists all kinds of stress like dragging through under a load, dragging across floors, or fastening to crane hooks which are not totally burrfree. As a default, the eyes are reinforced up to the overlapping seam with extra abrasion resistant abrasion protection. 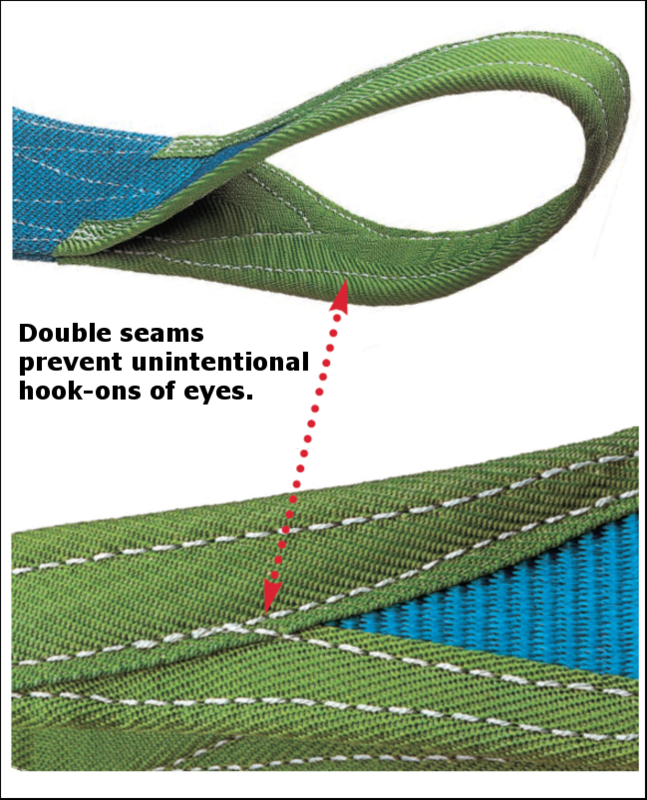 double layer, flat eye, full reinforcement, type B DoPremium eye slings are first-class products for your safety. 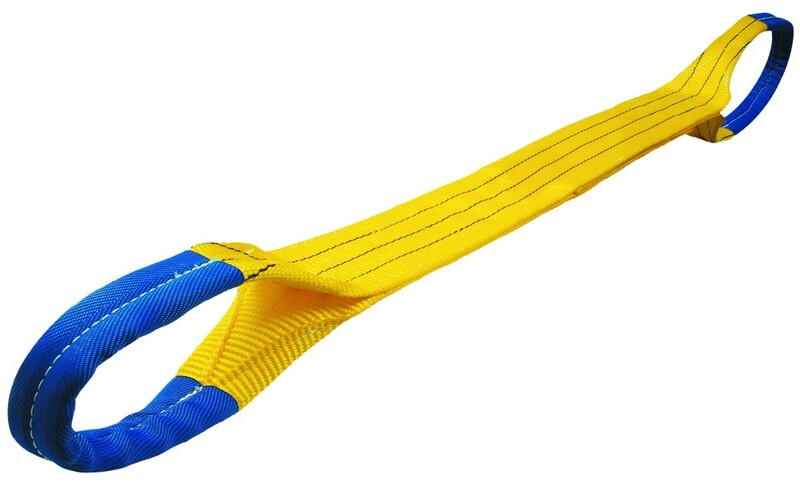 Its fully reinforced eye offers full protection for use with crane hooks; that is to say in the area causing the most wear. 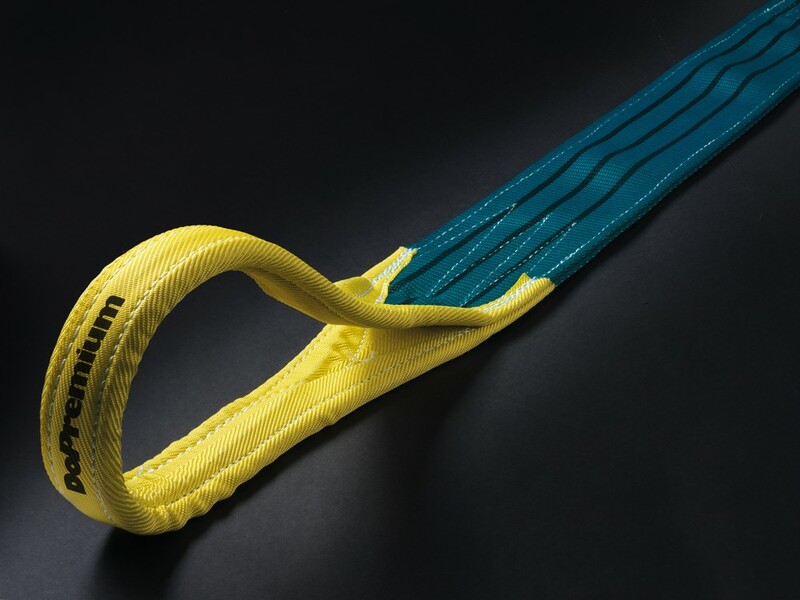 Optimized web construction of belt and edge allow for longer endurance against stress caused by abrasion, compression, and by edge tear. Band colour is turquoise, eye reinforcement in EN-colour code. In contrast to the standardized safety factor of 7, DoPremium special constructions meet a safety factor of approx. 10. 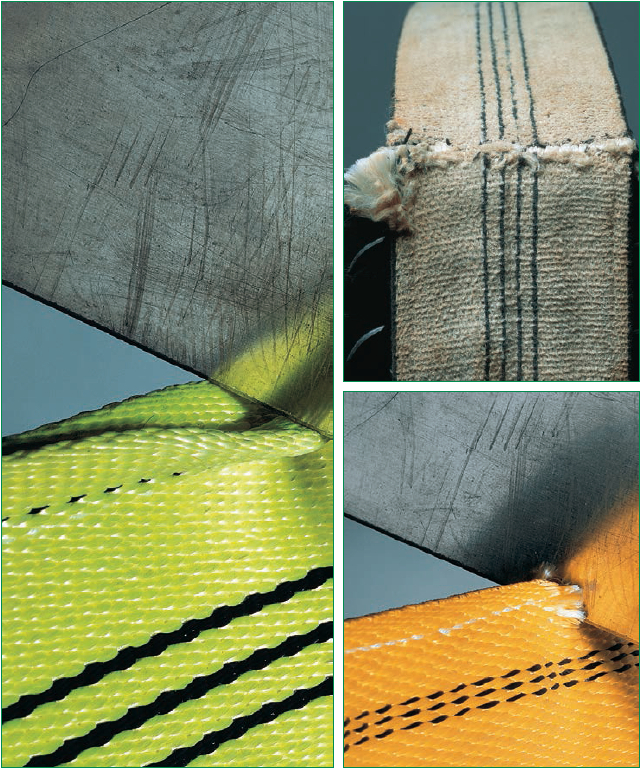 If the safety factor of standard webslings is reduced by approx. 2 over an extended period of time by abrasion, dirt or weather conditions, i.e. if it falls approx. the factor 5, the safety factor of DoPremium eye slings remains at 7-8 and thereby completely fulfil your safety expectations over the whole service period. Because of this, DoPremium eye slings all in all are more stress resistant, sturdy and more insensitive. 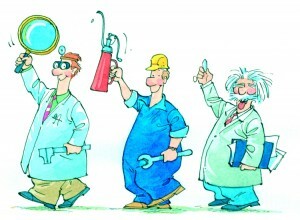 A further advantage is better resistande against high temperatures. Exposure to 120°C over longer periods or even up to 150°C for short periods will not decrease the stability below the safety factor of 8. Haven´t found the right lifting sling, yet?